Green Mail - March 26, 2019 - Business Directory - St. Thomas & District Chamber of Commerce - ON, ON ? We've finally reached the last week of March and the weather's getting warmer! One of the sure signs of spring is our SOLD OUT Member's Golf Day. But don't despair if you wanted to play! There's a waiting list we can add your name to. Sometimes cancellations happen! Nominations closed last Friday for our newly reinvented Impact Awards and it's been a record-breaking year. 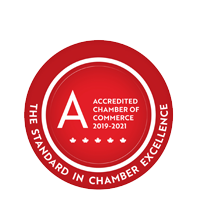 In 45 years of hosting business excellence award presentations, 2019 hits an all-time high with over 100 nominations submitted for deserving businesses and organizations from around St. Thomas and Elgin County! Thanks so much to everyone who submitted a nominations.